Remote customer service attendant – This is a job that does not require an extensive amount of training, and it is something that you can do in any country in any part of the world. Many businesses today, from LiveOps to Amazon, make the most of work-from-home customer service agents. You will need a reliable Internet connection and phone connection and a willingness to work in tune with U.S. or UK business hours. Cruise ship – Another career that can take you around the world is working on a cruise ship. Not only will you get to visit different parts of the world, but you will interact with different people and enjoy on-ship accommodation too. A lot of people decide to do work on a cruise ship for a few years simply so they get the chance to witness different parts of the world. Social work – There are many opportunities for social work to take you around the world in different capacities. Moreover, this is the sort of qualification that you can attain on the go as well, as you can take an online MSW degree advanced over the Internet today. Deprived and third-world countries may be the most obvious choice in terms of putting your skills to good use, but social workers are required in different ways in every country across the world. Work for yourself – Last but not least, any career can take you around the world if you work for yourself. More and more people are going down the self-employed route and working form the comfort of their own home today. 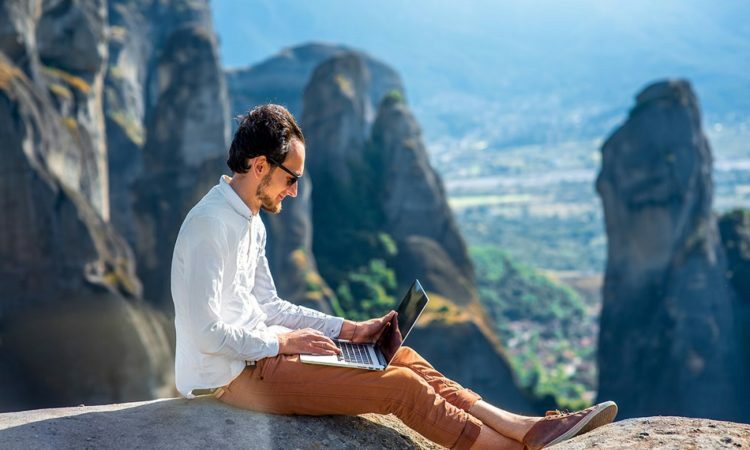 The nature of today’s digital landscape means that we can do writing, admin, tech, software development, translation, and other jobs from anywhere in the world. All you need is an Internet connection and you are good to go. So there you have it: a glimpse at some of the different careers that can take you around the world. If you choose one of the careers that have been mentioned above, you will be able to fulfil your dream of seeing the world while not having to worry about money matters at the same time.